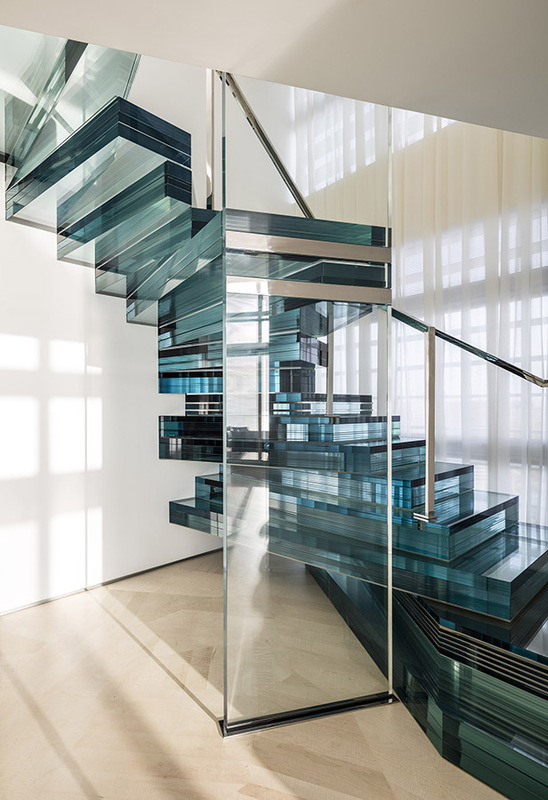 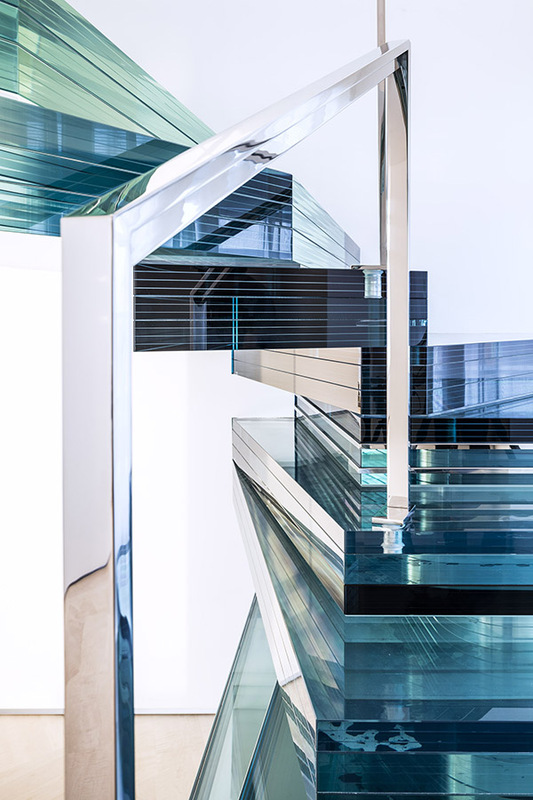 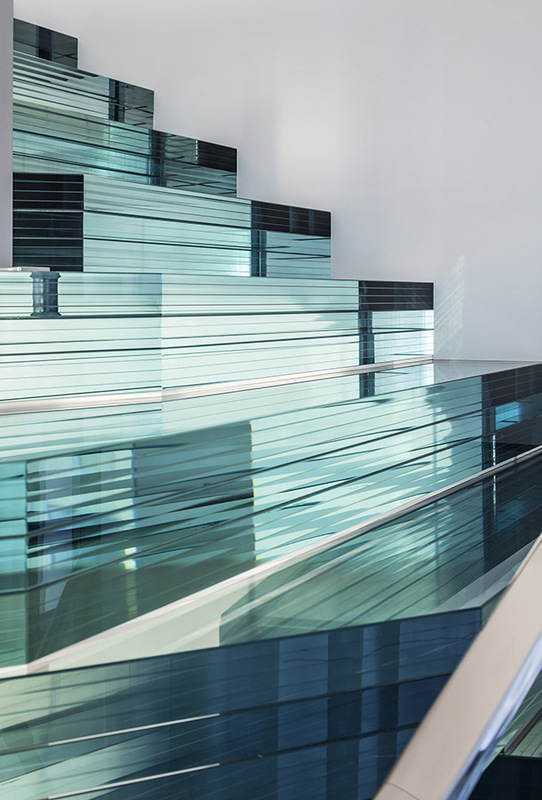 The glass stairs case is the first work of this scale to be completed by Irma’s studio. 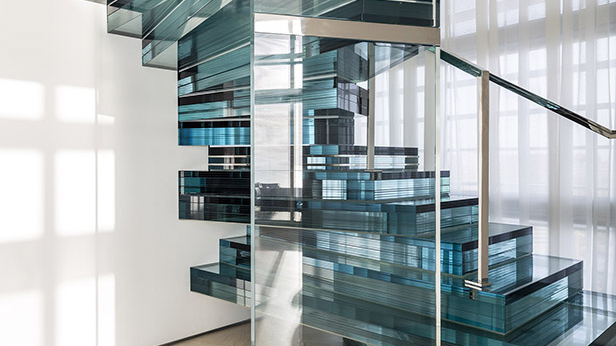 Here, Irma is conscious of the viewers’ experience in their home while adhering to the creative language of collaboration between man and material. 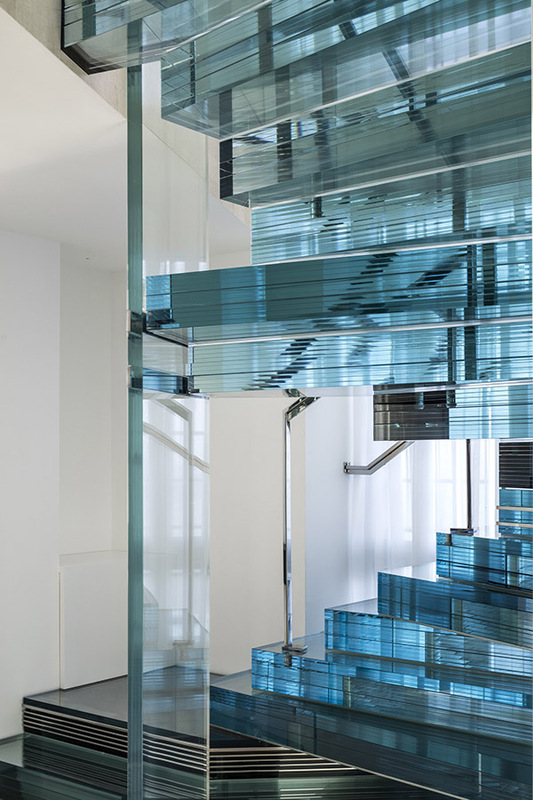 The large, free form sculpture is made from layers of glass, spiraling upwards from floor to ceiling. 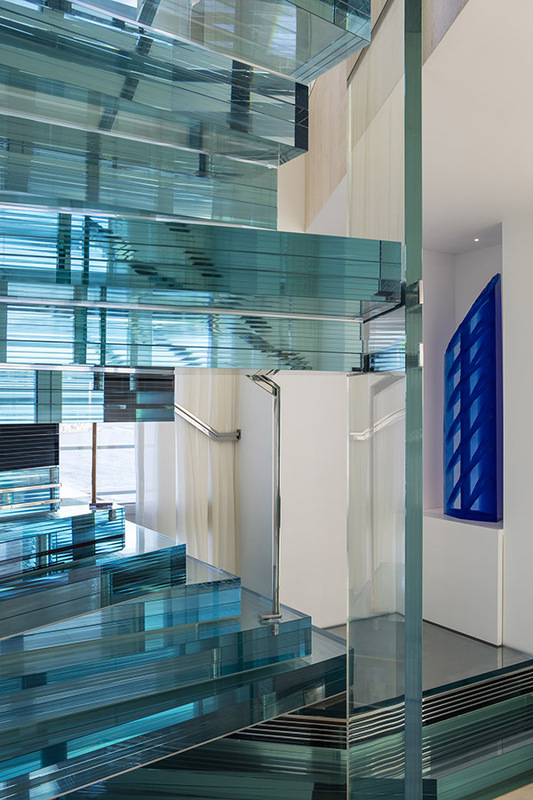 The sculptural work expands outwards to wrap the entire space of this room of the house. 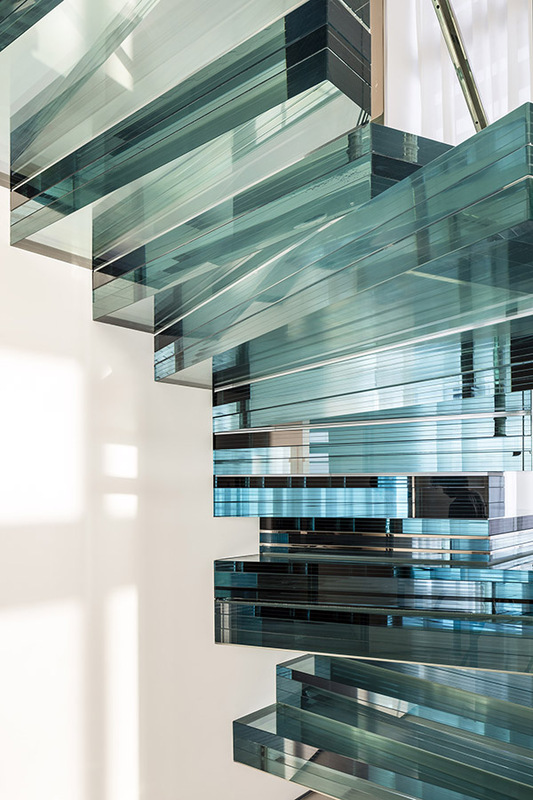 The work presents an opportunity for Irma to address the relationship between form and function, as well as the artists’ challenge to encourage viewers to see and experience the piece from different perspectives. 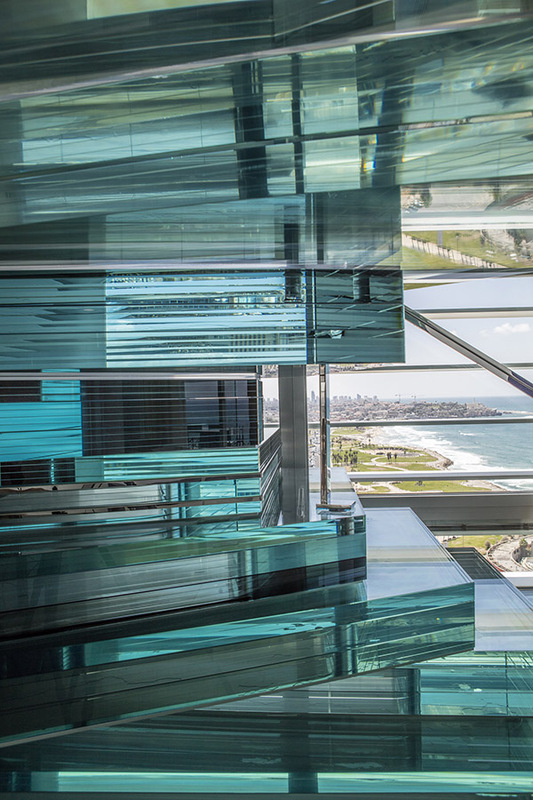 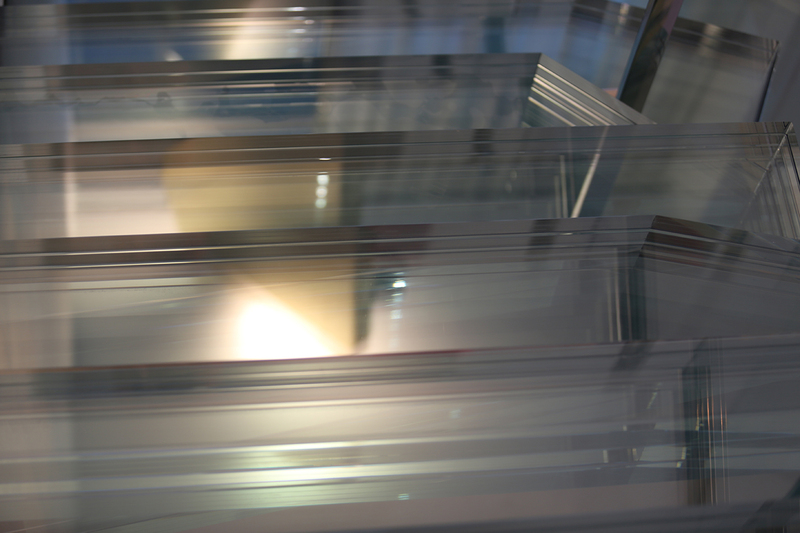 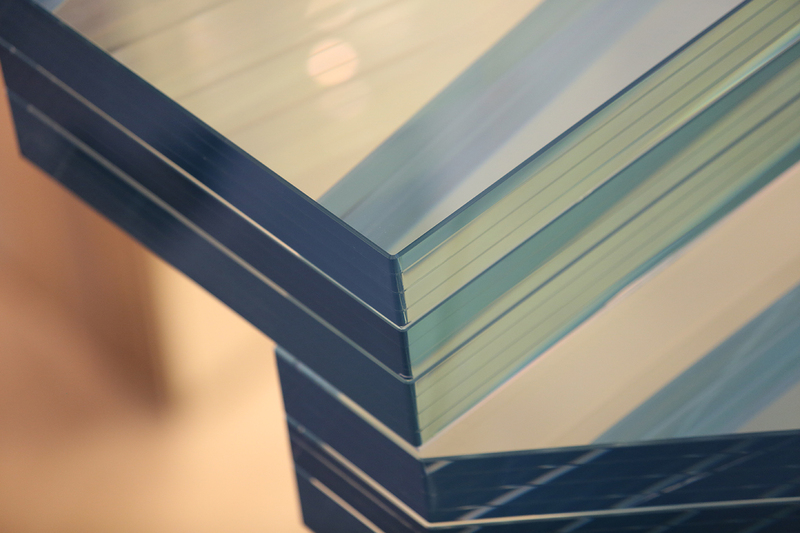 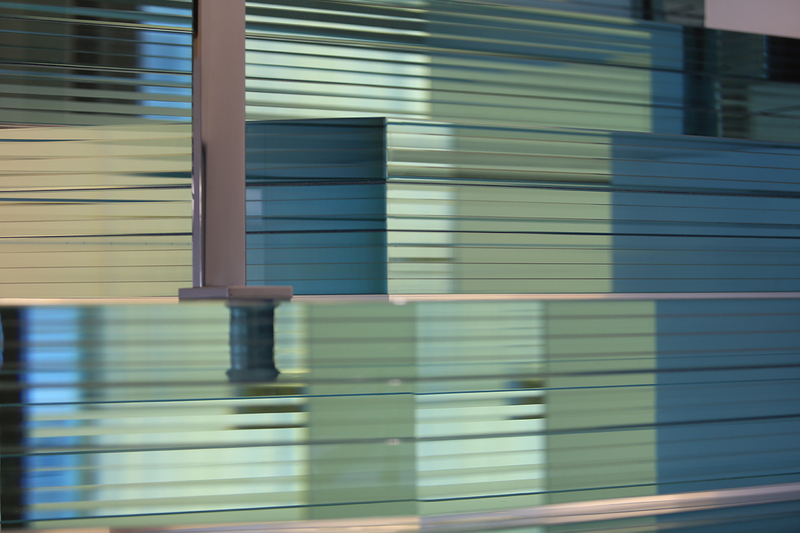 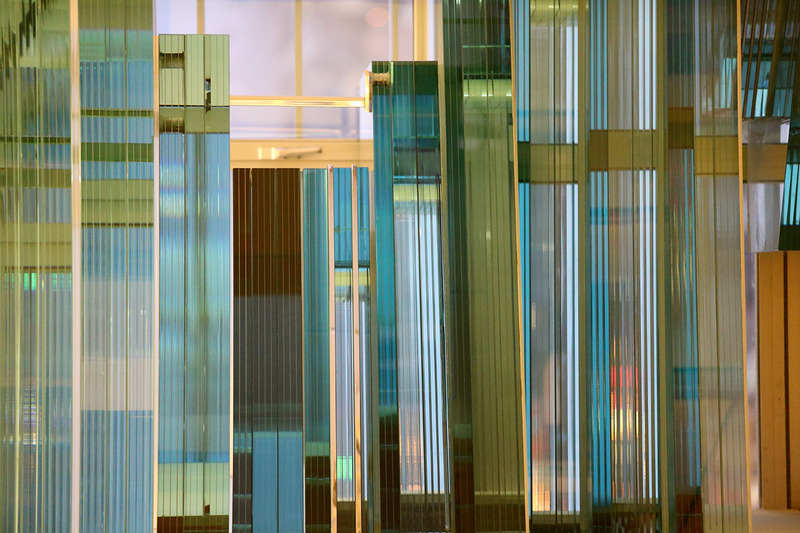 The art of Extra Clear glass layers allows a continuous view through the many layers that create reflections.